Fox management would start with a complete survey of the area. This is then followed by a planned programme of cage trapping or shooting, and sometimes humane snaring with breakaway snares. 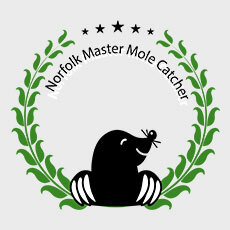 Norfolk Pest Control Services regularly work with Farmers, Estate and Land Owners, Commercial and Domestic Property Owners, Schools, and Poultry Farms to manage fox populations in their area. If you think you have a fox problem, call us and we’ll advise you on the best way forward. Adult foxes weigh between 14kg up to 22kg. They are red, black and silver in colour in the wild. A female will produce 1 litter per year of any between 5 and 11 cubs. If you are having an issue with foxes and would like to consult with Norfolk Pest Control Services, please call us on 01379 852 950 or 07806 875 985. Foxes can be a potential danger to small livestock and pets, and they are also known to carry several types of disease. Diseases include: Toxocariasis, Weil’s Disease, Hydatid Disease, Sarcoptic Mange, as well as fleas, ticks, and worms. Foxes can also cause damage to your garden by digging up lawns and flowerbeds and may also overturn rubbish bins and keep you awake at night with their screaming. If you discover fox excrement in your garden, it’s important to clean it up right away to prevent any roundworm eggs from hatching.